Austin College choral ensembles have taken their music on the road for more than 100 years. Even in the 1890s, the original Quartette boarded the “Interurban” train that ran down the middle of what is now Grand Avenue and traveled as far as Dallas and Fort Worth to sing concerts of popular glee club music. When the Austin College A Cappella Choir was formed in 1946, short concert tours became an important part of its performing schedule. 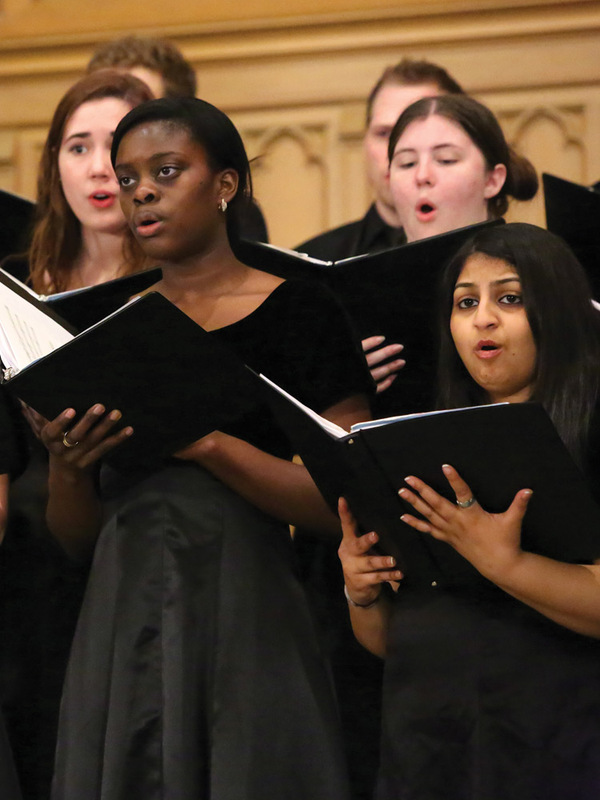 Choir tours served to recruit new students for the College in a time before targeted marketing or instant Internet communications, and the A Cappella Choir sang at Texas churches and schools, meeting with prospective students who were considering Austin College. 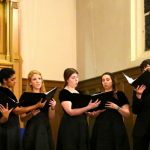 A visit by the Austin College A Cappella Choir was the musical event of the year in many Texas towns. The A Cappella Choir took its first international tour in 1957. After an overnight stop in New York City where the singers slept on the floor of a TV studio so they could sing on the Today Show early the next morning, the ensemble crossed the Atlantic for a whirlwind series of performances in concert halls, cathedrals, and international embassies throughout most of the countries of western Europe. While common for college ensembles today, American choirs were seldom heard in Europe in the 1950s, and telegrams describing the A Cappella Choir’s performances crisscrossed Europe and the Atlantic as the ensemble found itself in demand for more and more performances. In the end, it was the choir’s appearance at the Spoleto Music Festival that would become legend in the history of Austin College. 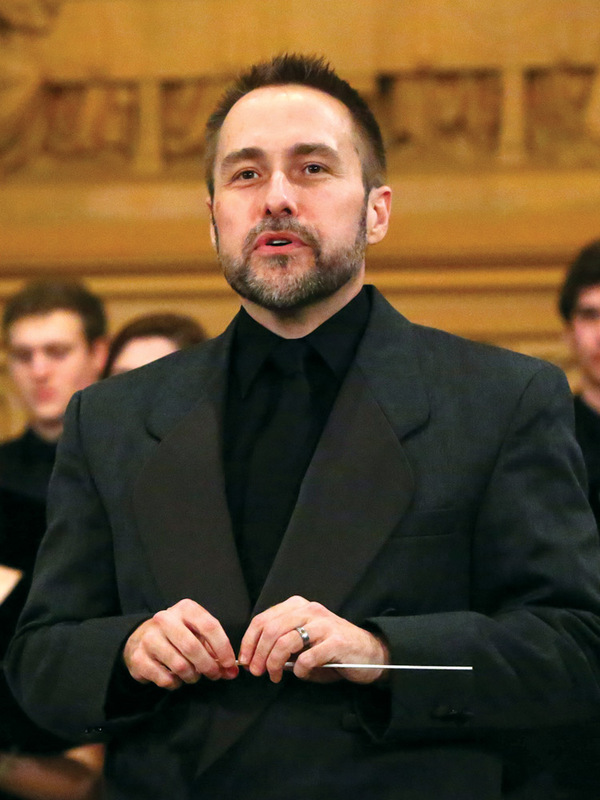 Director Robert Wayne Bedford led the upstart Austin College A Cappella Choir to a third-place prize in the “small choir” division of the festival. 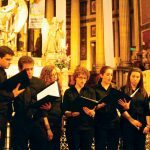 This was the first award for an American choir at such a highly respected European competition, and it ensured that concert tours would remain an important part of the A Cappella Choir’s yearly schedule. The singers now are saving their pennies for what they hope will be a two-week tour to New Zealand in May 2015, and planning is underway for a Texas tour in spring 2014. 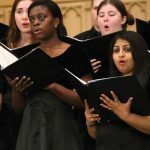 Whether for church relations, marketing Austin College to prospective students, or providing yet another unique international experience, the Austin College A Cappella Choir tour remains a central piece of student outreach and service at Austin College. 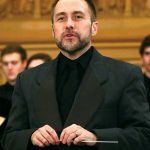 Article by Wayne Crannell, director of vocal music and associate professor. The 2013 spring tour included a stop at San Francisco Theological Seminary, where SFTS staff took these photos.